Lock in a great price for Hotel Nacional Inn Copacabana – rated 8 by recent guests! We LOVED our stay here! The staff was extremely helpful and welcoming. Our room was very clean and had all the amenities we needed. The breakfast was awesome. GREAT location - 2 blocks from the beach and lively bodegas next door. Good breakfast. One of the staff members spoke english and brought me a fried egg. The breakfast options were varied and the food was of good quality. The room was large and comfortable. There was nothing to regret that me and my friends made the choice to stay here. Is close to the beach, close to Rio's attractions and the staff is very kind and helpful. They know how to make a pleasant stay for their guests. Thank you Ibiza Hotel! 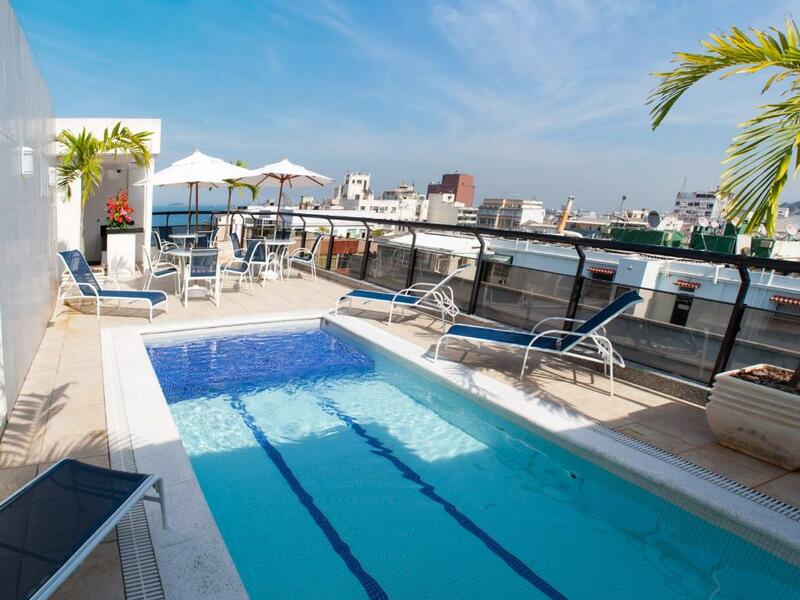 Hotel Nacional Inn Copacabana This rating is a reflection of how the property compares to the industry standard when it comes to price, facilities and services available. It's based on a self-evaluation by the property. Use this rating to help choose your stay! One of our top picks in Rio de Janeiro.This hotel in Copacabana, Rio de Janeiro is just 2 blocks from Copacabana Beach. It has a spacious terrace. Each room has a balcony. The hotel serves a large buffet breakfast. 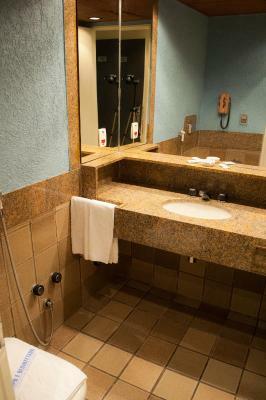 The air-conditioned rooms at the Hotel Ibiza have cable TV, a work desk and a private bathroom. Some rooms have a seating area and partial views of Copacabana beach. Guests can sunbathe next to the outdoor swimming pool or relax at the sauna. When would you like to stay at Hotel Nacional Inn Copacabana? This room accommodates 3 guests of any age. Children cannot be accommodated for free. 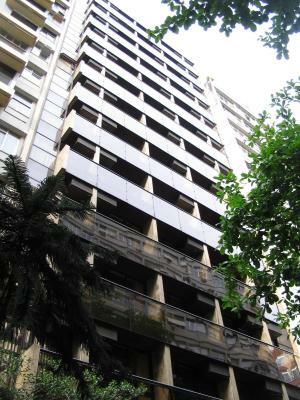 Near to the main shops of Rio and two blocks from Copacabana Beach and the subway. With full service care, exclusive restaurant and complete facilities either to business or leisure . Hotel surroundings – This neighborhood is a great choice for travelers interested in beach walks, sightseeing and sandy beaches – Check location Great location - show map Guests loved walking around the neighborhood! House Rules Hotel Nacional Inn Copacabana takes special requests – add in the next step! Hotel Nacional Inn Copacabana accepts these cards and reserves the right to temporarily hold an amount prior to arrival. The Tour company that picked us up was not too friendly. Very nice staff, close to Copacabana beach, room is clean and cosy with a balcony, there is small pool and sunbeds on the rooftop. Quite good wi-fi. So it’s worth the money. The roof terrace was amazing and it was great to sit down there at night and enjoy the breeze from the Atlantic Ocean. During the arrival the receptionist could have explained more regarding the facilities in the hotel, like the sauna, swimming pool, wifi and opening and closing times of the main entrance. There was a constant ringing of a hotel phone in the hall of the room my floor was on, which was disturbing. 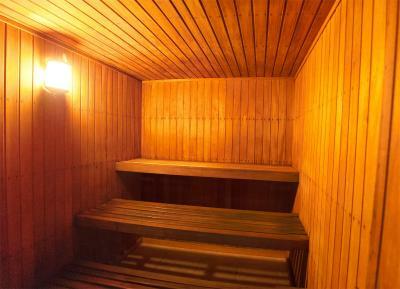 The sauna was unfortunately not what I expected it to be, relatively small and the temperature was way below what it should have been.